This entry was posted on February 25, 2015 by Posturite. There is just over 24 hours to go before our highly anticipated London Showcase & Catalogue Launch. To help you plan your day, we have created a checklist of everything you need to know before the big day tomorrow. If you booked on to one of the seminars, you should have received a downloadable ticket or a link to the Eventbrite app so you can display your tickets on your mobile device. Please do not forget to bring these as they will be needed to enter the seminar room. You may still enter the Showcase without a ticket if you forget to bring it. There will be loads of things to see and do throughout the day! Make sure that you speak to our ergonomic experts and ask any questions you may have about our products and services across all three of our divisions; Posturite, WorkRite and Office Environments. There will be demonstrations and exclusive previews of plenty of new products including the DeskRite Evolve sit/stand bench desking system, Seal Shield Antimicrobial Keyboard, Contract Seating and our E-learning health and safety training courses that we offer. 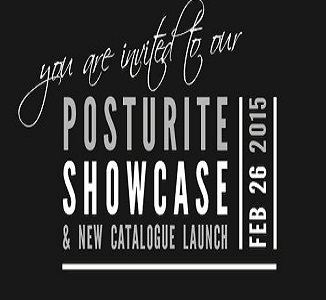 Please tweet us using hashtag #posturiteshowcase and send us your tweets and pictures during the day. We will be taking photos and chatting all day on our Twitter and Facebook page, please like us or give us a follow and let us know what you liked the most about your day at the Showcase & Catalogue launch.